Home » Company News » Orange35 Birthday Discounts On Everything! 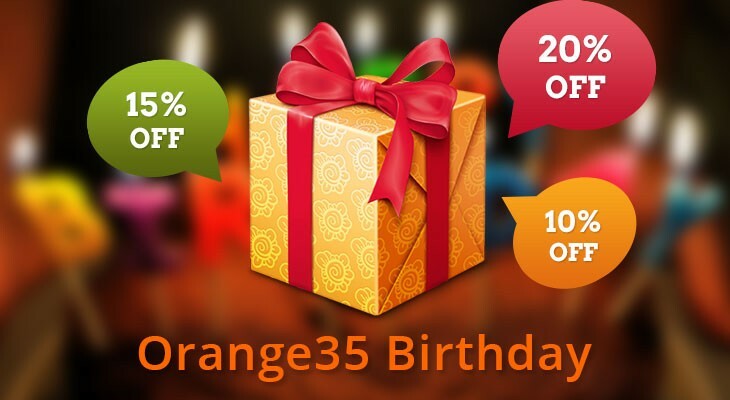 Don’t miss Orange35 Birthday discounts on everything! Beside that, for the first time we’re offering a unique opportunity for anyone ordering website development and design get a 15% OFF for projects of different type and complexity approved by June 30. Hurry up and take advantage of getting great professional quality at a discounted price.